WHO IS INSPIRING FRANCIS ON ECOLOGY? 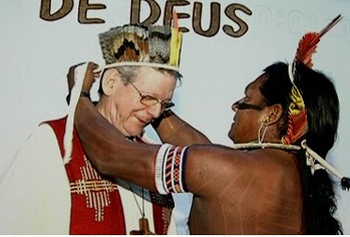 - As soon as Francis’ coming encyclical on ecology was announced on March 2014, it was reported that Bishop Erwin Krautler of Xingu, Brazil, had been chosen by the Pope to give his insight for the new document. “I believe that we live in singular time where we are not just close to a greater dominion of capital or progress, but we are [also] near the abyss. If the devastation of the planet Earth continues and global warming continues – the Pope has repeated this several times – the Earth may continue, but without us. So, we are living in times of great urgency, where political problems become relative. Everything has to be turned toward ecology in the sense that all must play a part to guarantee the physical-chemical base of life’s sustainability, which has been threatened. “This is for me the great challenge to be analyzed by the States. I am deeply sorry that the majority of the heads of States and decision-makers do not take seriously these questions, which have been reported by renowned scientists. They say that if the Earth experiences – as has occurred in History – a leap, a sudden warming of 4 to 6 degrees [Celsius], none of the known forms of life will subsist. We, who have technology and can create ports and islands of salvation, also run a great risk of disappearing. “So, I believe that the situation today is totally different. First, because it is global; it encompasses all countries – the life system, the earth system. [Second], a person very attentive to this situation, who is calling more attention to this problem, is Pope Francis. Taking advantage of the initiative, a blessing in passing of the ordination of married man to assist the dioceses with few priests. These guidelines are what seem to logically proceed from the statements of the two men Pope Francis invited to give their insights for his encyclical. After this conclusion, allow me to report as a post-scriptum to this article a significant fact that confirms that Jorge Bergoglio is a longtime partisan of Liberation Theology. In the same interview mentioned above, Leonardo Boff answered a question about why Rome had condemned him and his theology before Francis’ pontificate. Boff affirmed: “I believe with all sincerity that Cardinal Ratzinger and John Paul II never understood Liberation Theology. They condemned the version presented by the military and the more reactionary groups of Latin America. 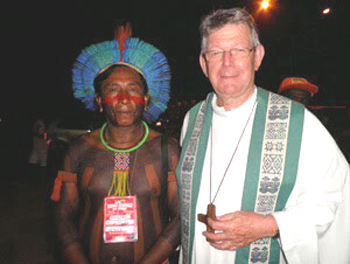 Then a new head of the Holy Office entered, Cardinal Müller, who said: 'Liberation Theology is a Catholic theology.' ... I would say that today this theology is perennial. It is the most important theology at this moment. “This is so much the case that this Pope represented in Argentina one of the tendencies of this theology, which was the Theology of the Oppressed People or the Theology of the Silenced Culture. This was the Argentine way during the military dictatorship to not use Marxist classifications, of class, etc, in order to explain poverty. He was one of the first to adopt this theology. 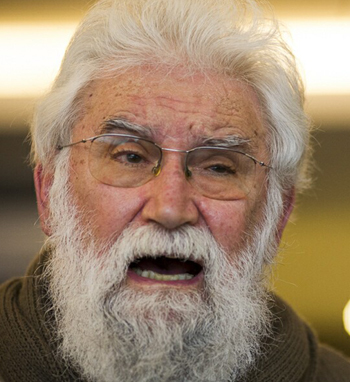 His professor is still alive today – Juan Carlos Scannone – who says that he [Bergoglio], when he was a student already with a Chemistry degree, had committed to continuously visit the Vilas Miserias – which are their favelas [the Brazilian slums] – and made a personal vow of poverty. In this he has been coherent until today. 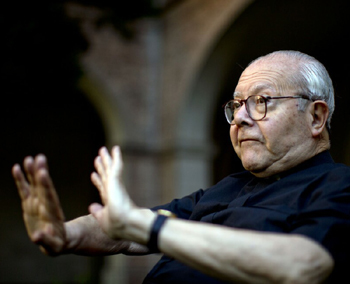 “Thus, I believe that Liberation Theology has earned respectability today. He [the Pope] invited Gustavo Gutierrez, who is the founder of this theology, to converse. I was in Italy and he invited me, but on that particular day I was opening a large congress of spirituality in Turin.